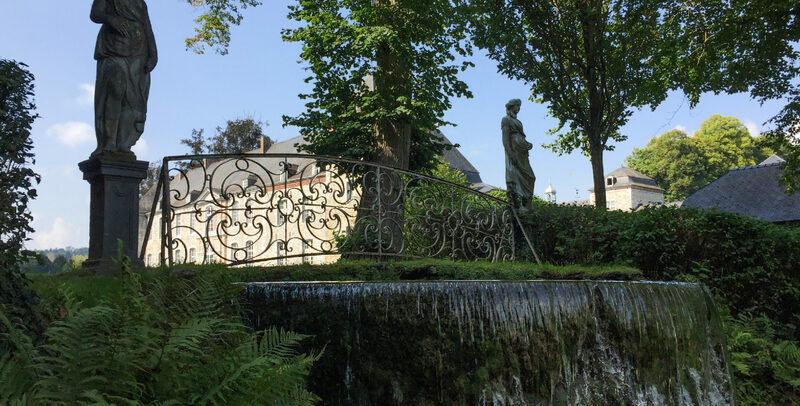 The Water Gardens of Annevoie reflects the history of the de Montpellier family, whose roots go back to the middle of the fifteenth century. At the beginning of the eighteen century did Jean de Montpellier inherit the Annevoie estate, formerly owned by the de Halloy family. In those days, the de Montpellier’s were famous forge-masters. 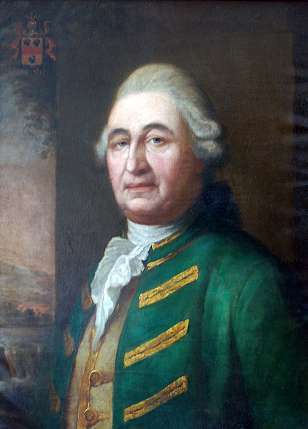 Jean de Montpellier’s son, Charles-Alexis, who himself was Mayor of the Court of Iron-merchants, made the means to lay out his Gardens and to extend the castle from this thriving industry (the work started in about 1758). Architecture avoiding all curves and windings in order to create long and majestic perspectives. The Gardens look like a painting. Architecture that brings out variety, contrast and surprise effects. Contrary to the French style, one preserves the curves, differences in level,… and they are integrated in the landscape. Water is one of the main aesthetical axes. It is considered to be the soul of the gardens. E.g. 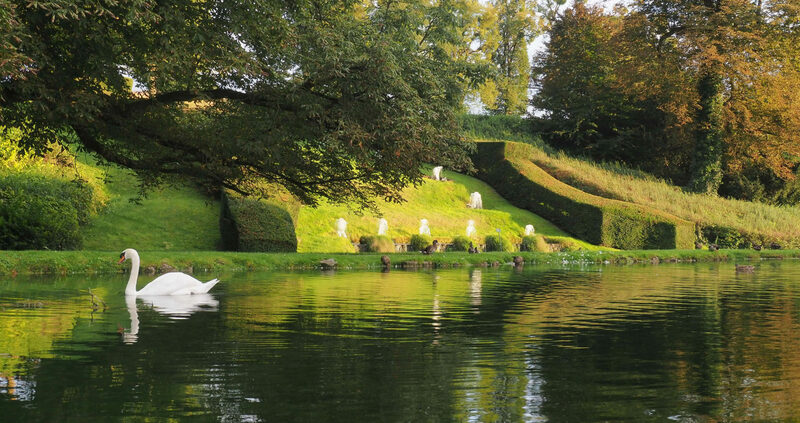 : the hornbeam lane, the Artichoke Pond, the castle’s curve. Architecture trying to reproduce the natural effects artificially, in line with Jean-Jacques Rousseau’s and the English Romanticism’s “back to nature”. E.g. : the English Cascade and Neptune’s Cave which were “created” from beginning to end. Ten generations of the de Montpellier family of Annevoie have contributed to the creation, the improvement and the preservation of the Gardens. In 1930 the Gardens were opened for the general public. In 1982, the entire estate, which includes the gardens and the buildings, were listed as Historical Monuments. 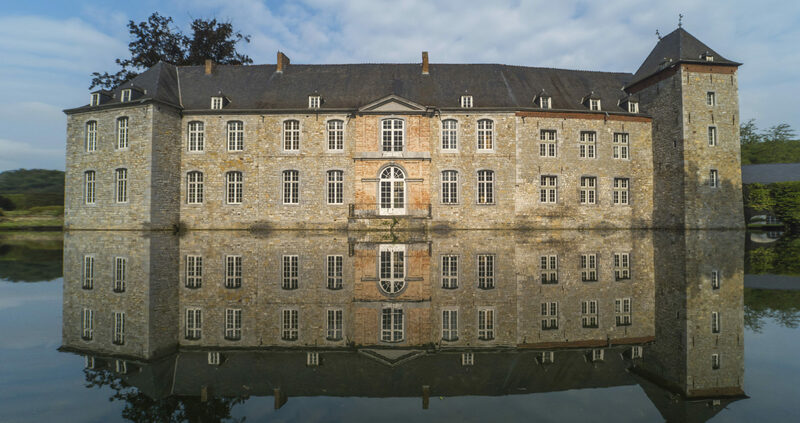 Between 1992 and 2009, they were declared Major Walloon Heritage. In 2017, the Gardens and the Castle are taken over by a private foundation Domaine Historique du Château et des Jardins d’Annevoie. 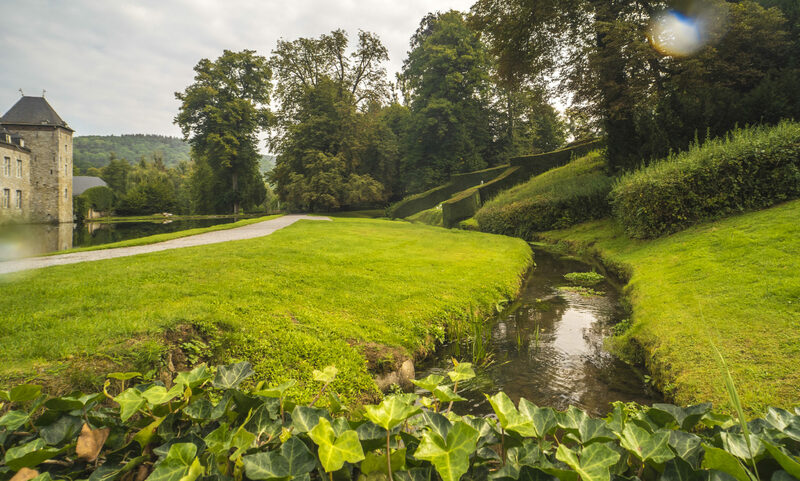 This foundation was set up in 2016 by Ernest-Tom and Ann-France Loumaye whose aim is to restore, preserve and enhance the estate of Annevoie and its stunning water gardens.